Digital cameras have revolutionized wedding photography. Gone are the days of being limited to the number of photos we can take due to the high cost of film. Wedding photographers will often capture over 10,000 images in a day. Instant previews on the LCD screen let us immediately know if we got the shot right (thank goodness). But the major drawback of having digital image files is that the wedding album has gone by the wayside. I think every couple that hires a professional wedding photographer to capture their wedding deserves to have a wedding album. For one thing, a folder of digital files is, well, kind of unromantic. Think about going to a cottage for your anniversary weekend, and tossing the laptop and USB drive into your suitcase, so you can scroll through them one evening. This isn’t exactly the same as turning the pages of a luxurious, leather-bound wedding album while you reflect on the emotions you were experiencing that day. Wedding albums also do a better job at storytelling than a folder of JPEGs. Professional photographers are also skilled at designing album layouts. If I know that a couple plans on investing in a wedding album, I’ll photograph the wedding while always keeping in mind how I might arrange the images in the pages of an album. For example, one spread might highlight all of the details of the reception, while another might show the timeline and reactions of a “first look”. A wedding album is a keepsake that will last for your lifetime and beyond. A digital-only collection of wedding photos is also a bit risky to keep long-term. Hard drives (and especially USB sticks) slowly deteriorate over several years, putting your valuable memories in peril. Cloud or online storage is a smart option for backing up your photos, but if you have to constantly re-download your images to view them, are you really going to look at them that often? It all comes down to the main reason why most of us hire wedding photographers in the first place. We want to be able to relive the events of our wedding day, time and time again. 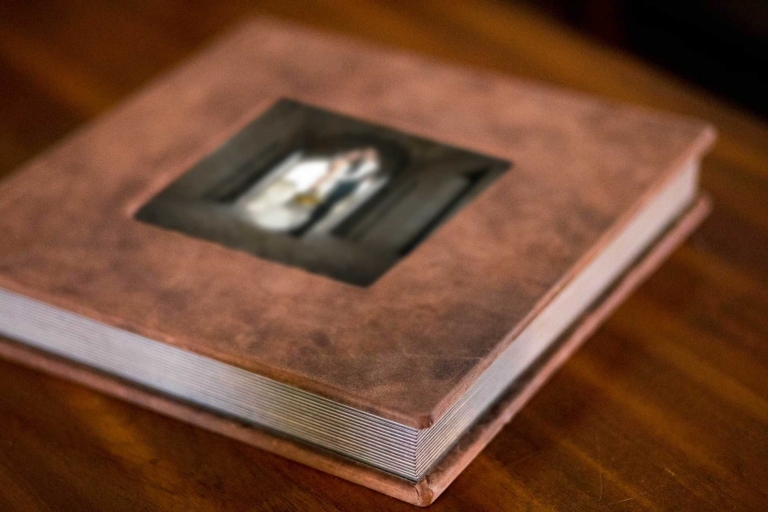 By having your images beautifully arranged in a meaningful way in your very own custom wedding album, your memories will always be within short reach. Think about all of the photos you took with your cell phone two years ago. Where are they now? Will you ever go back to look through them? Printing your images is the only way to guarantee that you’ll actually look at them, and enjoy them from time to time. Looking for more tips related to wedding photography? You can find more wedding photography-related blog posts here.